When it comes to comparing the cost of buying a new truck versus buying used, the purchase price is only part of the story. Most Americans finance their vehicles, and lenders often have higher interest rates and shorter term lengths for used models. For the buyer with average credit, a loan on a new pickup might be made at five percent over a term length of six years. For a used truck, the loan could be offered at nine percent over three years. That may sound shocking, but that is in fact the national average. Banks and buyers seem to find the strongest middle ground on vehicles one to three years old. Luckily (as we mentioned in a previous article), many drivers are turning to leasing as a way of keeping monthly payments low, and lease returns are creating an excellent pool of late model used vehicles. At two years old, the average vehicle has depreciated 20 percent but still has the vast majority of its useful life ahead of it (around ten years). There’s plenty of factory warranty left, and major service intervals are still years ahead. Both buyers and banks love the value, making five-year loans reasonable for both. 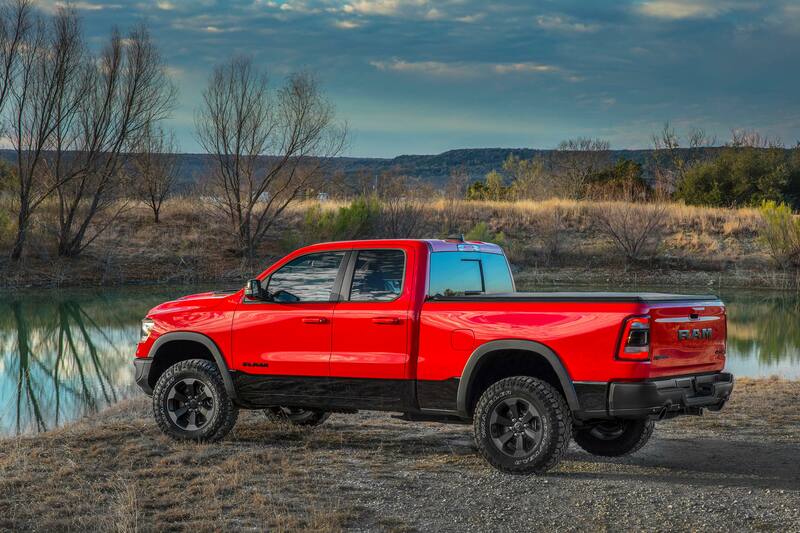 For this comparison, we selected 2019 and 2017 trucks at specific trim levels, with body styles and drivetrains that are as alike as possible, and with no options (bear in mind that most new models have additional standard safety features and amenities compared to their older counterparts). We assumed 30,000 miles for a two-year old vehicle. Destination charges have been added. Sales tax was calculated at seven percent and added into the loan. We looked at national trends for financing information, and found the the majority of buyers pony up a 12 percent down payment rather than the 20 percent that is said to be ideal. For new vehicles, the average loan for buyers with good to high-average credit was made at 4.9 percent over a term of six years. For used vehicles, the average with good credit is 5.5 percent for a five year term, while average credit yields 8.0 percent over the same term. You, the actual buyer, are not average, however, and your circumstances and interest rate will vary. We strongly recommend shopping for a loan even more diligently than shopping for your truck. Use available online loan calculators to get a realistic idea of your situation. Take your time, and remember that everything is negotiable. If you don’t like the terms offered, ask for better ones. If you still don’t like the deal, walk away and find another lender. 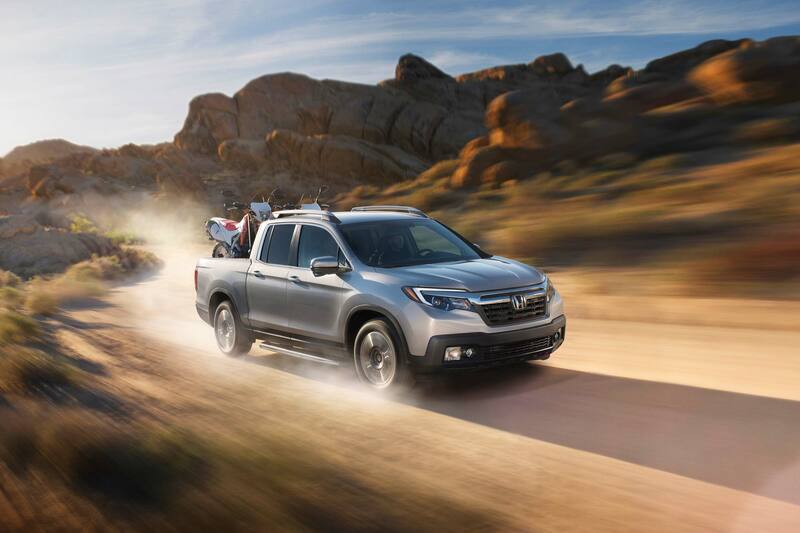 Honda’s unibody Ridgeline was updated for 2017 with available advanced safety. The RTL model gained a quieter cabin, leather trim, and heated seats and mirrors. The model has remained unchanged since then, helping retained value. We have chosen the mid-level RTL model with all-wheel drive for our comparison. Low depreciation creates a perfect example of a used vehicle costing less in the long run, but with higher monthly payments. 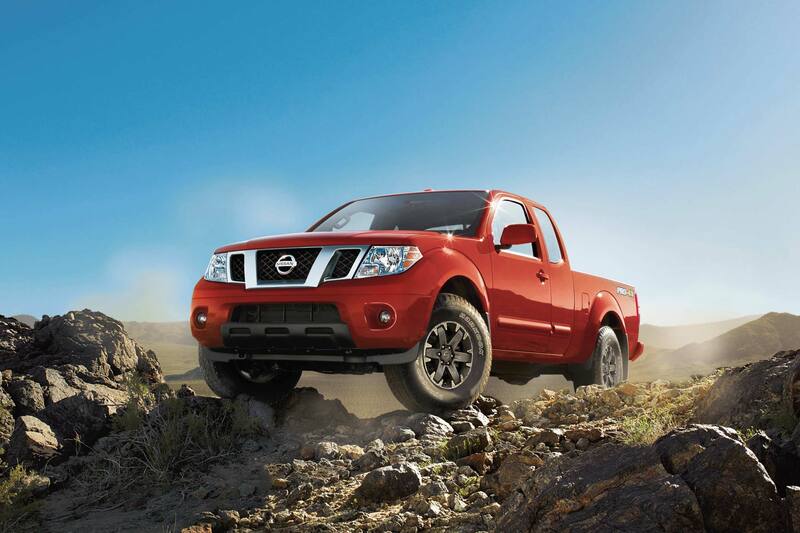 The Nissan Frontier has soldiered on relatively unchanged since its introduction in 2005. There have been amenities and safety upgrades along the way, and a mild refresh in 2009 introduced the enthusiast-oriented PRO-4X model. The Pro is powered by a 261 horsepower V6 with 281 lb-ft of torque. Four-wheel drive is standard, along with an electronic locking differential, a Dana 44 rear axle, and skid plates. Our Colorado in question is a two-wheel drive mid-level LT model in crew cab/long bed configuration, with a 308-horsepower V6 under the hood. 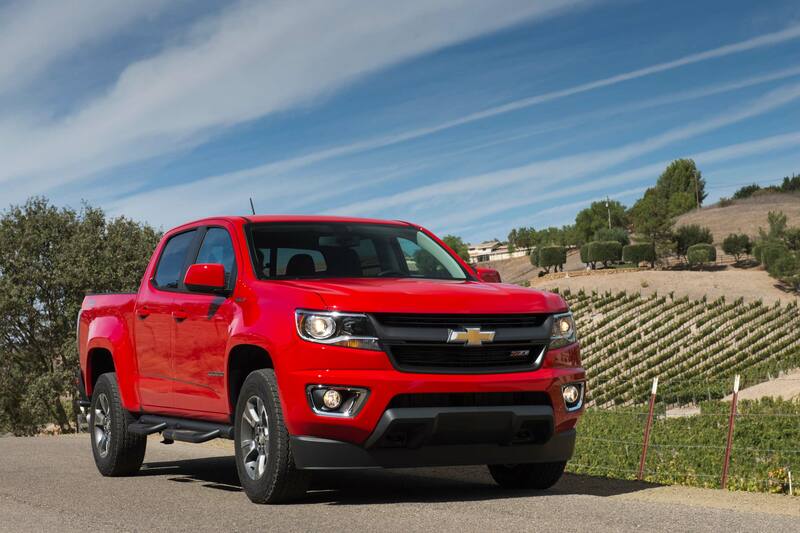 The Colorado remained mechanically unchanged over the period, but received safety and amenities upgrades for 2019. USB ports were added, the LT model gained a six-way power-adjustable driver’s seat, and the advanced safety package added rear park assist. 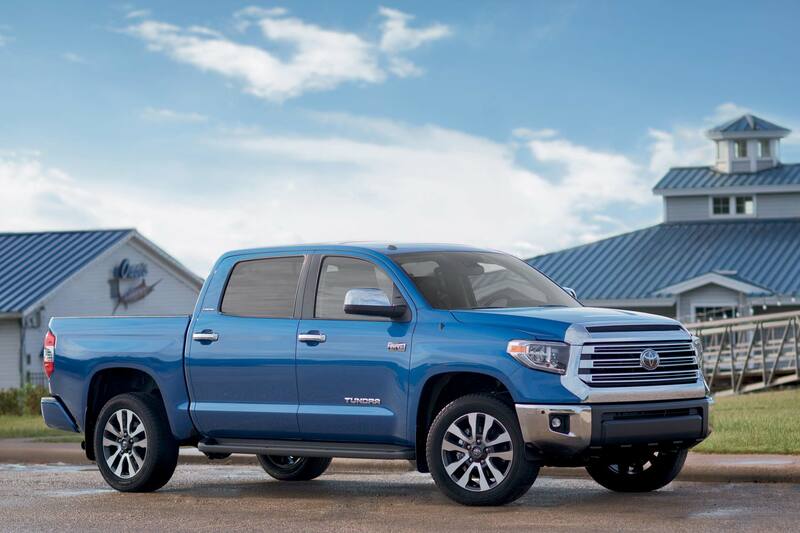 Toyota’s popular Tacoma has one of the best resale values of any vehicle in America thanks to rugged construction and unimpeachable reliability. For 2018, the model was updated with active safety features: a pre-collision system with pedestrian detection, Lane Departure Alert with trailer sway warning, automatic high beams, and dynamic cruise control. We have selected the SR5 trim level with a 278-horsepower V6 and four-wheel drive. Our truck has an extended cab and six-foot bed. 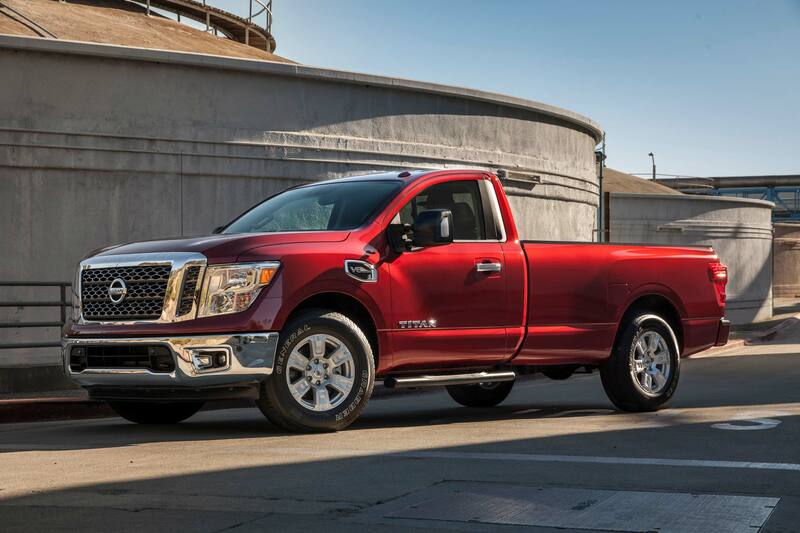 The full-size Nissan Titan offers big truck power at a lower price than man competitors. Our two year-old model saves even more thanks to significant depreciation. The Titan was updated in 2019 to include a standard 7.0-inch infotainment system with connectivity, Apple CarPlay, and Android Auto. The 2017 and 2019 models are otherwise virtually identical. 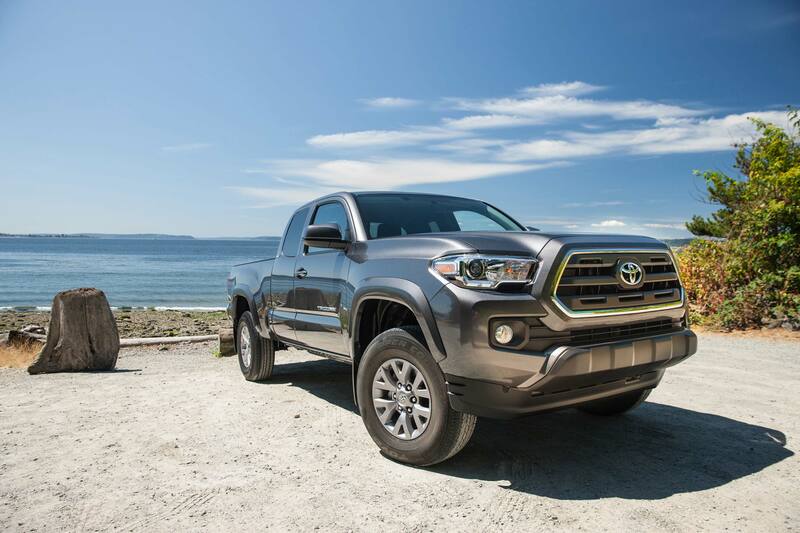 Like its Tacoma sibling, the Toyota Tundra has excellent retained value. The truck was unchanged from 2017 to 2019, but received added safety for 2018: a pre-collision system with pedestrian detection, lane departure alert with trailer sway warning, automatic high beams, and dynamic cruise control. We have selected the premium Platinum trim level with a crew cab and standard 5.7-liter V8. 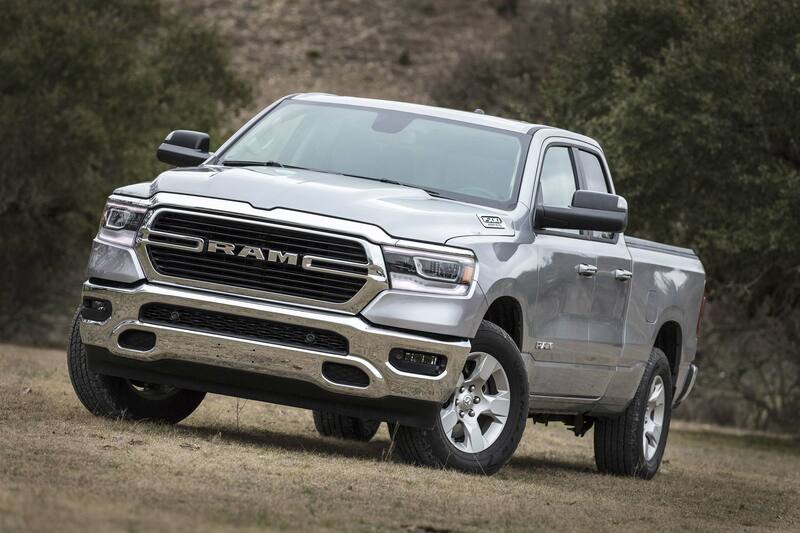 The big news for Ram truck is the all-new 1500 for 2019. Advanced engineering dropped weight while adding strength. The standard 3.6-liter V6 that was present in the 2017 model is a mild hybrid for 2019. Power output is the same for both years—305 horsepower and 269 lb-ft of torque—but the hybrid system will find maximum torque much sooner than the conventional version. 2019 also added safety and amenities upgrades, creating a Ram 1500 that is significantly advanced from the 2017 version. For our comparison, we selected the Big Horn trim level with a crew cab, 6’4” box, and two-wheel drive. Our sample Silverado 1500 is a crew cab/standard bed LT powered by a 5.3-liter V8. The engine debuted with the third generation Silverado for 2014 and has made 355 horsepower and 383 lb-ft of torque ever since. 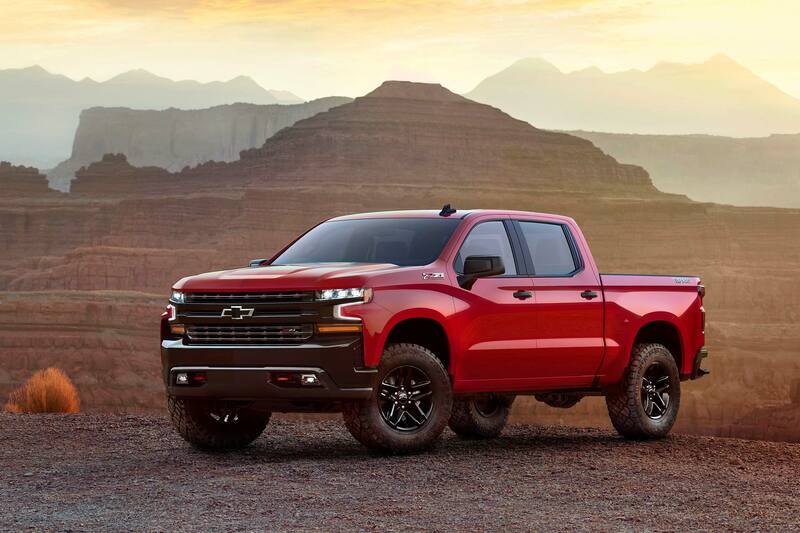 Chevy introduced the fourth generation Silverado for 2019 with lighter, stronger construction and increased cargo volume. Brand new third-generation models are still offered (MSRP, as specified: $41,100) and substantial discounts may be available. 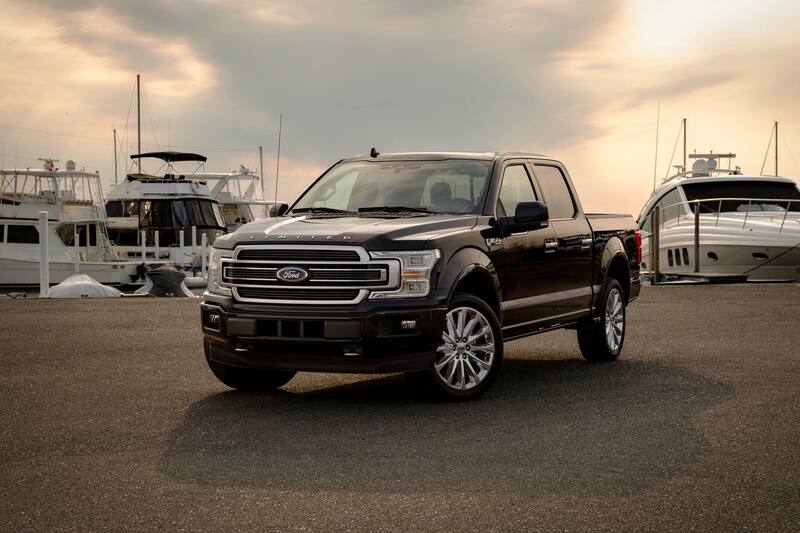 We selected the XLT crew cab/short box version of Ford’s best-selling F-150, powered by the base naturally-aspirated V6 paired with a six-speed automatic. In 2017, the engine was 3.5-liters and made 283 horsepower and 253 lb-ft of torque. A 3.3-liter unit was introduced for 2018 with 290 horsepower and 265 lb-ft. The new engine was paired with a six-speed transmission with selectable drive modes: normal, tow/haul and sport. 2019 brought increased connectivity to the XLT and deleted the CD player. 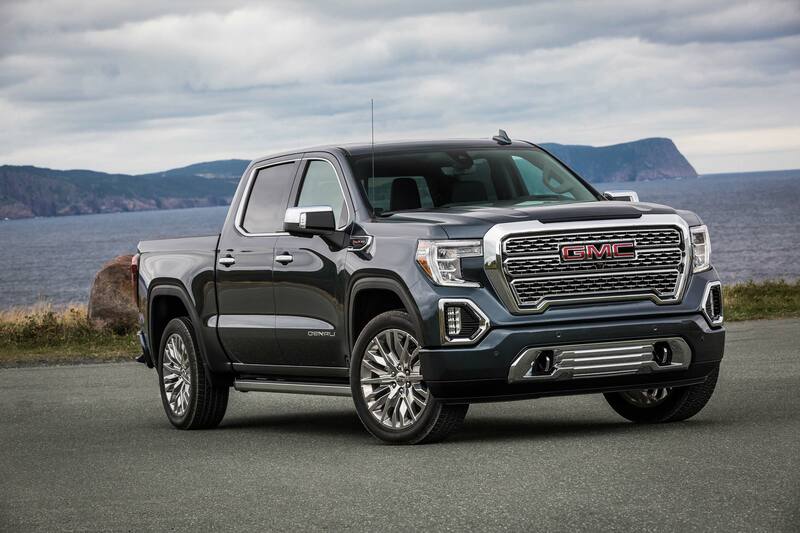 GMC’s Sierra 1500 is all-new for 2019 and is bigger in every dimension than the outgoing model. The deluxe Denali model features the trick MultiPro six-way tailgate for added functionality and a durable, lightweight carbon fiber cargo box. Both the 2017 and 2019 models are powered by a 355-horsepower, 5.3-liter V8.